An entertaining and comprehensive illustrated guide to Dublin's Phoenix Park. In 2012 the Phoenix Park celebrates its 350th anniversary. 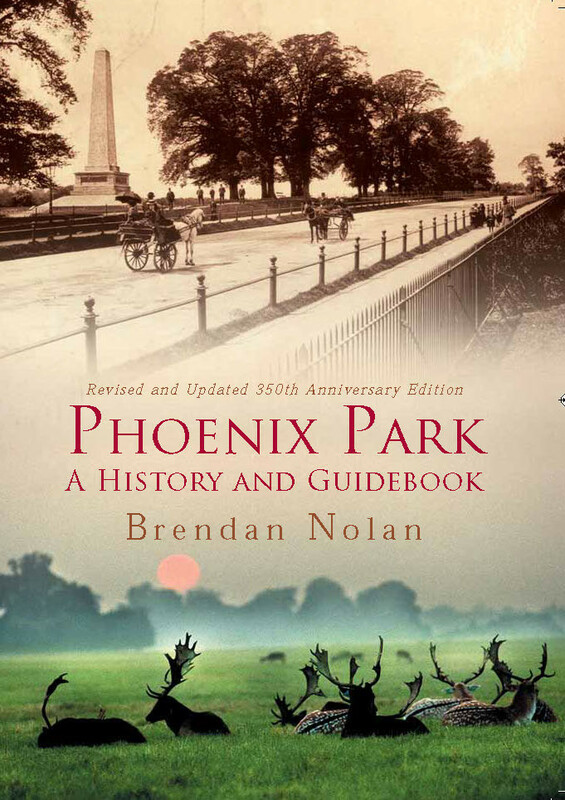 To help commemorate the occasion, Brendan Nolan has completely revised and updated his 2006 guide to the Park with new stories, anecdotes, walking guides, illustrations and much more. One of the biggest enclosed parks in the world, the Phoenix Park provides a breath of fresh air amid the urban sprawl of modern Dublin. Brendan Nolan’s comprehensive guide to the Park covers its origins and history, buildings and monuments, wildlife, literary associations, local lore, military use, sports, self-guided walks, and its future in an urban environment. The author provides detailed histories and descriptions of all of the landmarks in the Park, including the Zoo, Áras an Uachtaráin, Farmleigh, Ashtown Castle, the American Ambassador’s Residence, Garda Headquarters, and so on. He touches on such historical events as the infamous murders of 1882, the Eucharistic Congress of 1932, and the visit of Pope John Paul II in 1979. This new edition will be of great interest to tourists and visitors, to locals and Dubliners in general, and to anyone interested in celebrating the 350th birthday of this most historic and scenic park. A former journalist, Brendan Nolan is now a professional freelance writer who lives in Dublin. He is communications officer of the Irish Writers Union and is the webmaster for their website, www.ireland-writers.com. He also publishes his own weekly website, www.askaboutwriting.net, which has an international readership.